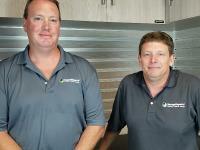 Garage Experts of Richmond is locally owned and operated by William Bibbs and Doug Binner. We are decades long friends that grew up in Richmond and found a common passion for renovating foreclosures on the side several years ago. Fortunately, the last few years revealed to us it was time to move on from our careers and build a new business together. After an extensive search we found Garage Experts, the industry leader in epoxy flooring and storage solutions. Many phone conversations and face to face meetings later, we were invited to become part of the Garage Experts family. After completing all required courses and hands on training, Garage Experts of Richmond was born. We could not be happier and have not looked back. 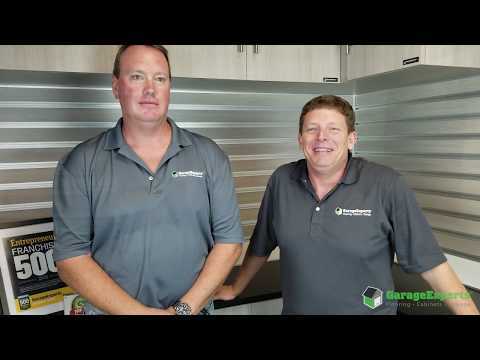 Garage Experts of Richmond is proud to offer you our environmentally friendly, low VOC Garage FX Flooring Systems and CARB certified industrial grade cabinets along with many other Garage Experts storage solutions. What are we most proud of? Glad you asked. Our products are Made in the USA at our facilities in California and Texas and come with a lifetime warranty! When you work with Garage Experts of Richmond, you are working with local owners backed by the strength of our national brand and our national brand can’r;t be beat. We are fully licensed and insured. Please contact us for your free estimate today to see what Garage Experts of Richmond can do for you. We look forward to meeting with you and earning your business soon. GarageExperts of Richmond is your local garage makeover expert. View some of our recent work.